At CarpetRides, its all about helping pick the best rug for you. We have SO many styles that sometimes we know it can be a bit overwhelming. But don't worry, give us a call or drop us an email and we will be happy to help. We do it all the time. Let us know how we can help. Its what we do. CarpetRides has dozens and dozens of styles to pick from. Thank you, we received the rugs today, and they look great. I know our friend will be impressed! 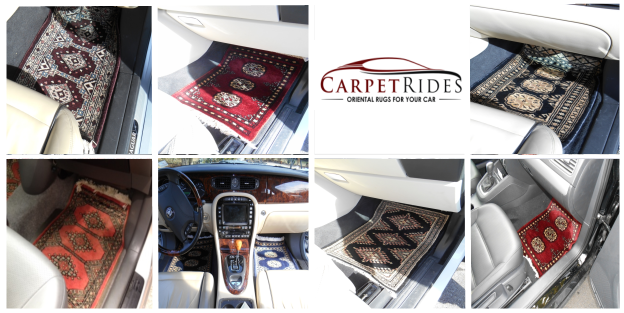 CarpetRides are the only 100% Authentic Handmade Oriental Car Rugs / Oriental Car Mats we know of. If you want the very best and only the real deal, CarpetRides.com is the place.